If you are a fan of peppermint tea, there’s a nice deal at the moment at Amazon! You can get One pound in bulk packaging of Frontier Co-Op, organic, cut and sifted, for $10.50 (Prime shipping), or $10 if you do a “Subscribe and Save”. You can get up to ten of these at the sale price. 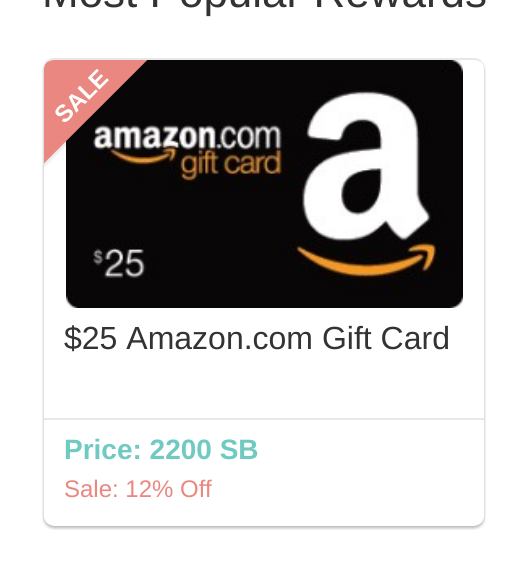 This is not a lightning deal, so expiration time is unknown. This appears to be a popular option as it averages 4.7 out of 5 based on nearly 300 customer reviews and it has 23 answered questions. The Apples and Cinnamon flavor of the Quaker Instant Oatmeals (the ones you can make with boiling water, no stove, no microwave) have a 15% off clip-on coupon. Their price before the coupon is $2.59 for a 10-packet box. With the coupon, they drop to around 20 cents per packet, a pretty decent price for instant-oatmeal. But these have a magical property! They are eligible for the Prime Pantry Buy Five, Get $6 off promotion. You don’t have to buy five different products. Five of the same product also work, so five boxes of oatmeal is all it takes to get you free shipping for your whole Prime pantry order. On the other hand, if you prefer the 1-minute oatmeals (you have to use either the stovetop or the microwave, no boiling water option), the 18 ounce canister goes for $2.48 and it is also eligible for the “Buy 5 Get $6 off” promotion. This one does not have a clip-on coupon. PS: the Original Quaker Oats (no sugar added; you can sweeten it yourself as little or much as you want) also has the 15% off clip-on coupon which is nice, but it is not eligible for the “Buy 5 Get $6 off”, so it won’t get you free shipping. But you can always add it to your order if you are buying other things that get you free shipping (or if you don’t mind paying the $6 box delivery fee). IF you are a fan of keychain Funko POPs and a fan of the anime/manga series “Attack on Titan”, the character “Levi” is currently on sale for $5, in new condition, up to three Levis by customer by Amazon actual. Better yet, this is not currently an Add-On item, so if you are a Prime member, you get this in two days with free shipping (or select slow ship and get the $1 digital credit). This Funko keychain averages 4.8 out of 5 based on seven customer reviews. If you like to use a case on your smartphone, why not make it a power-case? For a limited time, the Trianium Atomic PRO case for the Samsung Galaxy S8 (the 5.8-inch model, not the Plus/XL) is on sale, in the black color scheme, for $33 with free shipping by the company, with the orders fulfilled by Amazon, so you get free 2-day shipping if you are a member. The white color scheme is NOT on sale. What’s better than a free e-book? 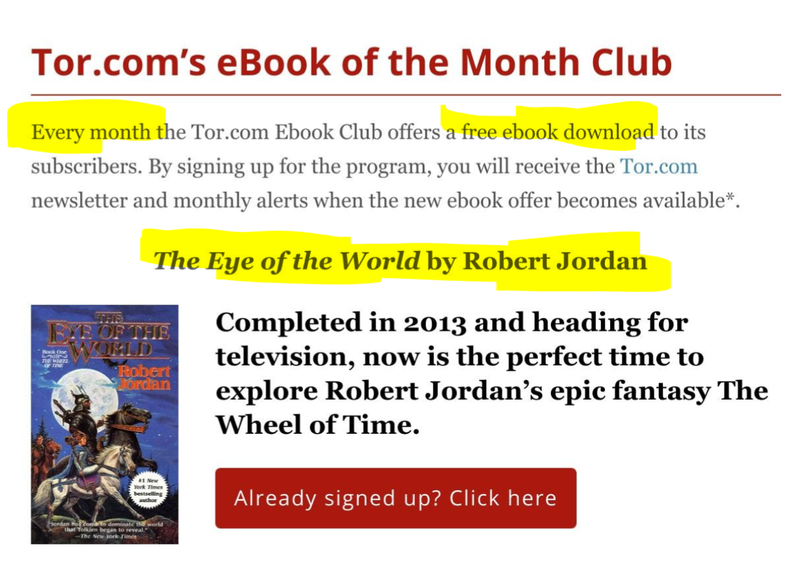 A DRM-free free ebook 🙂 Good until February 15 (2018) at 11:59pm eastern time, you can get the first book in the long “Wheel of Time” fantasy book series by Robert Jordan and his friends by simply giving your email to Tor. This is part of their recurring eBook Club. The offer is available to those in the US and Canada (those darned scattered book rights around the globe).